The second conference on econometric models of climate change took place at Nuffield College, University of Oxford, on September 4th-5th, 2017. Climate econometrics has emerged as a field tackling climate problems using econometric methods: from analyzing observational climate data and results from climate models using econometric methods, to empirically estimating the impacts of climate variables onto socio-economic outcomes. Econometric interest in climate change and its complex data environment has grown to the point that it can be considered a developing field within econometrics. The Climate Econometrics programme at the University of Oxford, together with Aarhus University and CREATES, are hosting a conference on the econometrics of climate change at Nuffield College, University of Oxford, United Kingdom, on September 4-5, 2017. 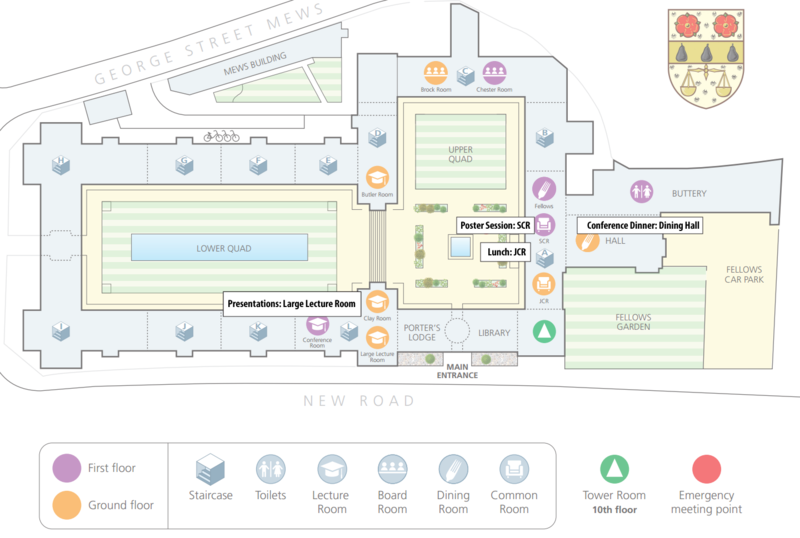 Map of Nuffield College and conference rooms available here. Formal registration is now closed. For any additional enquiries, please contact the conference organisers. Information on local accommodation and travel to Oxford is available here. There is no dedicated conference hotel, but local suggestions are provided. We solicit submissions of papers whose novelty stems from the development and introduction of new econometric methods to models of climate change – inviting both papers using econometric methods to analyze climate data, as well as econometric studies of climate impacts. We particularly welcome submissions in the field of climatology highlighting interesting statistical challenges to which econometric methods can contribute. 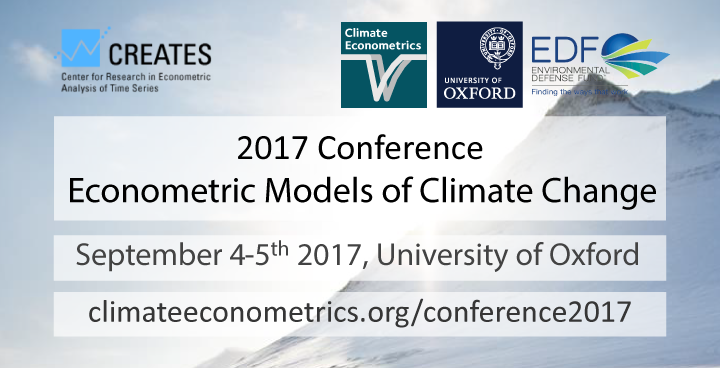 Join the Climate Econometrics network to receive conference updates. The conference is supported by Econometrics – Open Access Journal. Free for readers, and free publication for manuscripts submitted in 2017.